Places to see in Kalimpong: Kalimpong is admired with a number of sightseeing destinations. The Dupin Dara is an observatory point offering a stunning view of the Himalayas, the meandering Teesta and Relli rivers and the plains far below. The place also features a number of flower nurseries. The Pedong monastery was built around the year 1837. You can also visit the Bhutanese fort of Damsang, located a kilometer from the monastery. There is also another monastery called Thongsa monastery, considered as the oldest monastery of the region. Zong Dhog Palri Fo Brang monastery is situated near the Durpin Dara. You can also visit the Tharpa Choeling monastery, which belong to the yellow hut sect of lamas. Kalimpong Arts & Craft Center was established by Mrs. Graham. This center is famous for teaching carpet weaving, dyeing, painting, leather craft, tailoring and carpentry to the locals. The center also promotes the creations of local craftsmen and artisans. The Mangal Dham Mandir spanning an area of two acres was built in 1993. The ground floor of the dham houses the “Samadhi” of their highly revered Guruji. You will find the prayer hall on the top floor, featuring the deity of Raj Shyamaji. 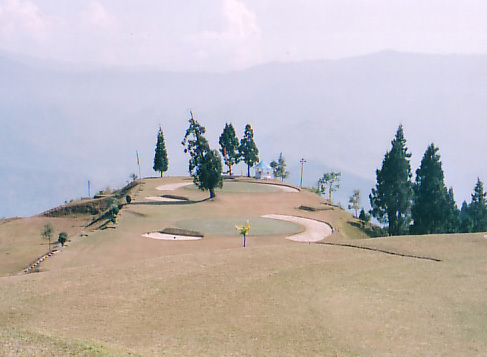 The Deolo Hill is an ideal picnic spot admired with lavish tourist lodge, operated by the Tourism department of DGHC. A visit to Central Sericulture is truly rewarding, where you can see the breeding of silkworm and the production of silk. A major portion of India’s gladiolas is produced in Kalimpong and varieties of flowers are exported from the region to northern India. Some of the notable nurseries are Sri Ganesh Moni Pradhan Nursery and the Udai Mani Pradhan Nursery. The Gauripur House is popular as a favorite destination of poet Rabindranath Tagore, who stayed at the house and composed many poems. Some other noteworthy sightseeing places of Kalimpong are Swiss Dairy, Dharmodaya Vihar and Pranami Mandir. Nearby attractions of Kalimpong: You can travel to the “Queen of the Himalayas” – Darjeeling, located 50 km away from Kalimpong. Trips can also be made to Lava (35km) and Rishop (27 km). Kurseong is also nearby. Things to do in Kalimpong: Enjoy a nature walk along the scenic landscape of the region. You can also take photographs of the splendid surrounding natural beauty. 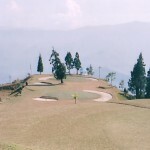 How to reach Kalimpong: Kalimpong is well connected by roadways. You can avail bus services or taxis connecting the neighboring towns of Darjeeling, Kurseong, Gangtok and Siliguri with Kalimpong. However, road communications are often interrupted due to landslides during monsoon. The nearest airport of Kalimpong is located at a distance of 80 kilometers in Bagdogra, whereas the closest railway station is located at New Jalpaiguri. You would get rented cars from New Jalpaiguri and Siliguri directly to Kalimpong. Best time to visit Kalimpong: You can visit kalimpong at any time of the year. However, it is better to avoid Monsoon as the roads often remain blocked due to landslides. Lodging and dining facilities in Kalimpong: Kalimpong offers an array of accommodation options, ranging from luxurious hotels, village resorts and homestays to budget lodges. 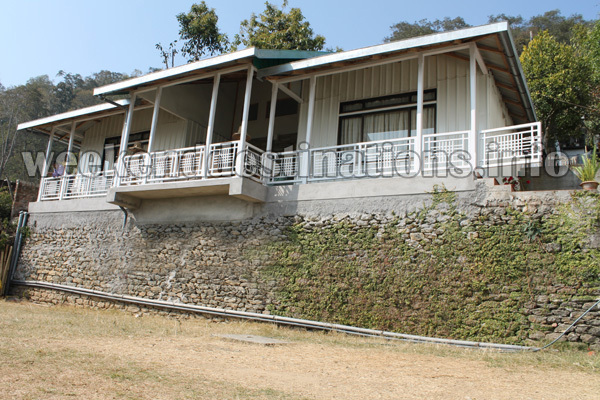 We arrange for two lodging options in Kalimpong. You can stay in a heritage resort with cottages surrounding the lawns, gardens and nurseries and views of Mt. Kanchenjungha or you can stay in the guesthouse in the outskirts of Kalimpong located amidst tranquility with great views of the rolling hills and valleys. The heritage resort is spread over two acres of landscaped gardens waith a natural spring and over 1000 species of orchids, plants and trees. 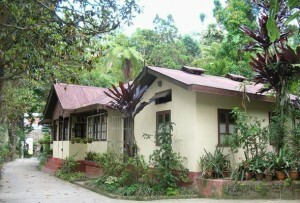 Small wood cottages are located throughout the resort area for the guests. You can also catch a glimpse of Mt. Kanchenjungha from the resort. There are 19 Double Bedrooms to accommodate guests and all rooms are facilitated with modern facilities like western style bathrooms with 24 hours hot and cold water. Family home-cooked Continental, Chinese, Tibetan and Indian meals are served on fixed menu basis. Our guesthouse in Kalimpong is located on the outskirts of Kalimpong with a nice lawn and just two bedrooms. Both bedrooms enjoy a wide terrace with comfy couches overlooking the mountains in the distance. Attached bathrooms, extra large beds and very neat and clean spacious rooms make this guesthouse a great place for your vacation. The guesthouse is a few minute’s walk from the main road and has a nice garden too. Home cooked nice and warm Indian as well as Continental food is served in this guesthouse. Photographs by Trisha Sengupta and others.